The People v. O.J. Simpson: American Crime Story cemented its status as one of the year's most acclaimed shows on Saturday, as it picked up three Television Critics Awards. At the L.A. ceremony, FX's critically acclaimed miniseries, which is nominated for 22 Emmys next month, was honored in a trio of categories: program of the year, outstanding achievement in movies, miniseries and specials, as well as individual achievement in drama for Sarah Paulson, who played Marcia Clark. The 2016 TCA Awards, which honor the top TV shows and actors of the past season, recognized some programs and stars overlooked by Emmy voters, including Crazy Ex-Girlfriend star Rachel Bloom (individual achievement in comedy) and Full Frontal with Samantha Bee (outstanding achievement in news and information), which did land a writing nomination, but was shut out in the variety talk series category. 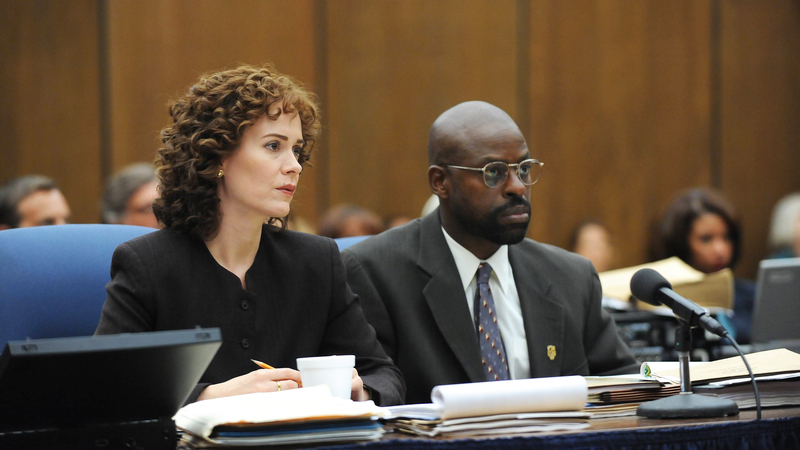 Paulson and several other of the evening's TCA Awards winners will also be competing for Emmys next month. That list includes Mr. Robot (outstanding new show), The Americans (outstanding achievement in drama, for the second straight year), Black-ish (outstanding achievement in comedy) and Making a Murderer (outstanding achievement in reality programming). Each year, the TCA also recognizes a classic TV series with its a heritage award, which is its version of a lifetime achievement award for TV shows. This year's award went to The Mary Tyler Moore show, which ran on CBS from 1970-1977. Lily Tomlin, who appeared in iconic TV shows like Rowan & Martin's Laugh-In, Murphy Brown and The West Wing, and a number of Emmy-winning TV specials (and currently stars in Grace and Frankie on Netflix) won this year's career achievement award. Jane the Virgin actor Jaime Camil (along with his TV alter ego, telenovela star Rogelio De La Vega) hosted the ceremony for the 32nd annual TCA Awards, which are voted on by the more than 220 critics and journalists (including this writer) from the U.S. and Canada who make up the Television Critics Association. The event at L.A.'s Beverly Hilton hotel isn't televised and doesn't have a red carpet, which leads to a more laid-back event than most TV awards shows.